Another brand and product I had yet to try but have thoroughly enjoyed. SteamCream a handmade, ethically and vegan brand. 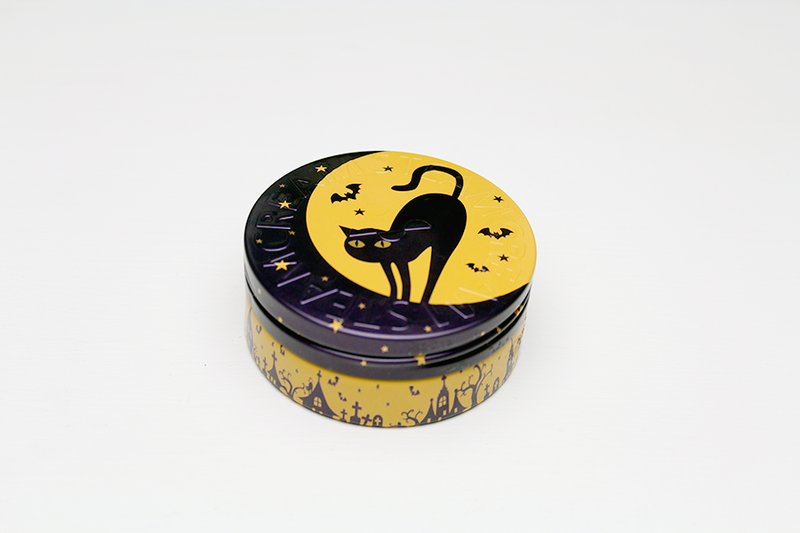 Each tin has it's own design and some are limited edition. Like the one I have here, Midnight Party, of course this design was and is perfect for Halloween but I am sure next year their will be a totally new & original design. SteamCream has plenty of uses, for face, body and hands. Another multi-purpose product. Bonus! Skin can look dull and tired in spring, particularly if we’ve overindulged during the party season. Brighten up your skin tone with STEAMCREAM’s neroli and chamomile, and refresh it with orange flower water. It’s easy to get caught by the sun. 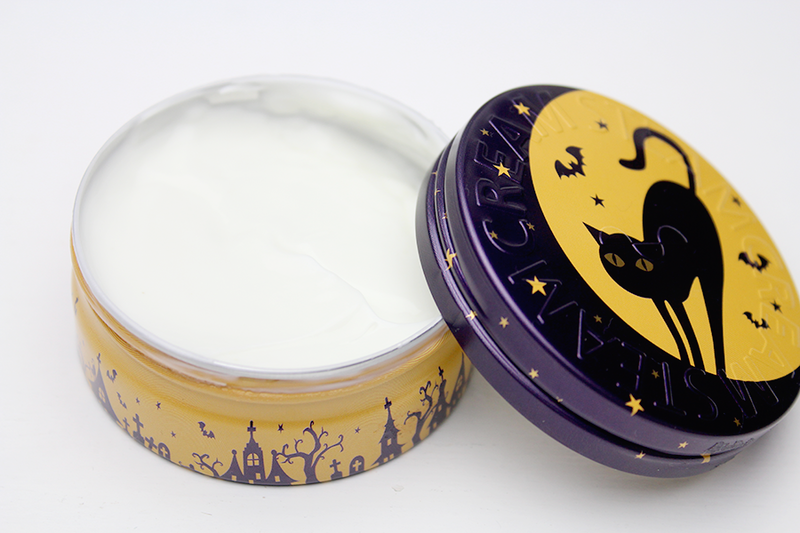 STEAMCREAM has lavender and jojoba to calm redness from sunburn so always carry a tin with you just in case. Colder weather and strong winds dry out the skin, so it’s really important to keep it moisturised. Use STEAMCREAM when you notice it’s feeling dry. 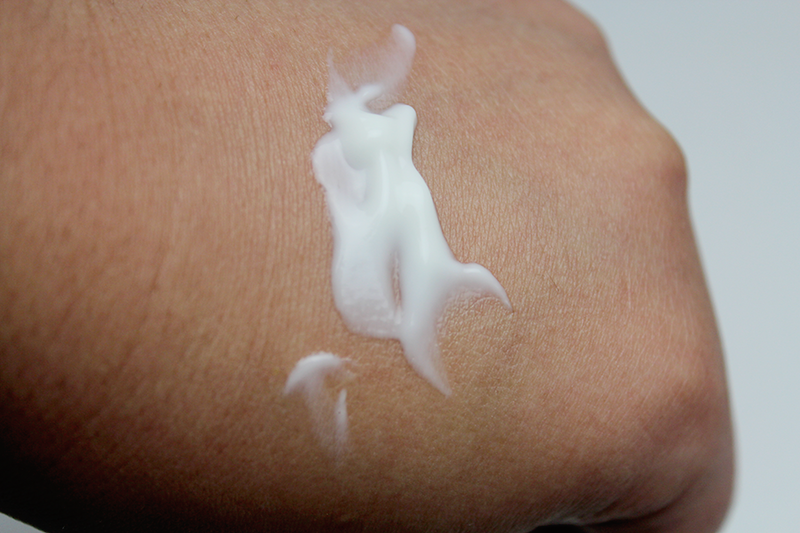 Experts recommend that you top up your moisturiser up to eight times a day to keep your skin at its best. Frosty weather makes your hands and face feel rough and dry. Take advantage of STEAMCREAM’s rapid moisturising action to help them feel soft and smooth instantly. Always keep a tin in your bag. It's great for all skintypes and ages, from babies, children, men and women and more. If you are like me and have normal - combination skin (oily and dry) this can be great due to the ingredients orange flower water and oatmeal fusion help hydrate the dry areas, while the jojoba, lavender and neroli help balance out the skin's sebum for your oily areas and let's not forget this part it's also great to even out skintone! You can even use this on your scalp to prevent flakiness! The cream's consistency is light and easily rubbed and absorbed into the skin. Your left with a nice, soft base. 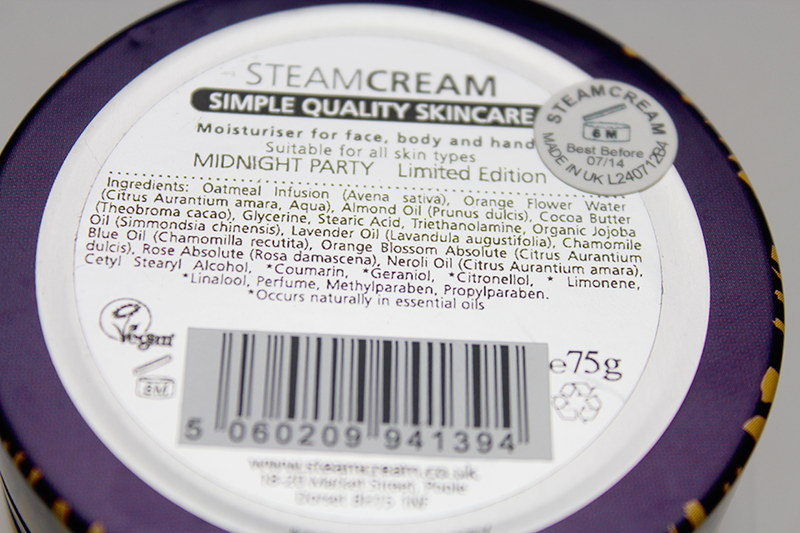 SteamCream concentrate hard on their ingredients and their properties. You can view above all the ingredients and read about them on the SteamCream ingredients page to find out what each ingredient does. For those who read my blog on a regular basis or know me - you know already Lavender isn't my favourite scent in the world. I find that the Lavender comes through quite strongly when you first open the tin and apply it. Once it's been absorbed into the skin the lavender scent does calm down & this is coming from someone who Lavender to the point makes me feel ill and gives me a headache - crazy I know. So for me to use this, it's a miracle. I do wish these come in bigger tins but I think if your using it for a few things in particular this size will be fine but if you do use it for EVERYTHING, then the one tin might be your one use. Other than that I cannot fault this and it's safe to say, a few people will be getting one of these for Christmas. I have some of this but I too hate the lavendar scent that it initially gives off, so I haven't really used mine. I might give it another try now!